If you are searching for AMCAT Test Pattern 2019-2020 & Syllabus pdf but still, your mind is fuzzy over what you have got? now rest be assured, here you are going to get excellent piece of information in detailed and explanatory way which a student can easily understand. Update: This page is updated time to time based on the latest available information. All the information presented is semblance of official information based on amcat website. At the end of the AMCAT Test Pattern & Syllabus, you can download complete detailed syllabus in pdf as well. Please note that all the branches can give AMCAT exam. Eligible branches for amcat are ECE, EEE, Mechanical, CSE, IT, MBA, MCA. Top MNCs like Cognizant (CTS), HCL, Accenture, Wipro and many other MNC are offering job via AMCAT Test. Syllabus is playing most important role in preparation of any competitive exam, be it AMCAT or any graduation level exam. Why that is so? simple reason is that if you know your syllabus well in advance then you will get timing for preparation strategies and how to pursue them. Similarly for AMCAT test, if you know your stream syllabus in detail and also have idea of compulsory and optional subjects then you can plan better and perform well. First of all lets understand the exam pattern of AMCAT Test. 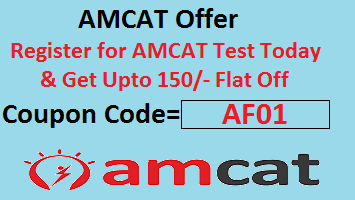 Amcat test consists of various sections/modules which you can choose according to your profile or education background. There are certain modules which are compulsory for everyone (Language and Aptitude Modules), whereas others modules are optional. It means, you need to select few modules of your choice but Language and aptitude module is compulsory for everybody and they need to perform well to get interview calls. Read here AMCAT Testimonials for better view of AMCAT. Now let’s check out module wise syllabus for AMCAT Test. below is the module which are compulsory under AMCAT Test. You need to take these modules irrespective of your stream/branch. Ability to communicate effectively through written documents. This module will be relevant for almost all profiles such as Business Consulting, HR/Admin, iTeS/BPO, Marketing, Engineering, Sales and Customer Management, IT, Hotel Management, Life Sciences, Content Development, etc. AMPI: Aspiring Minds Personality Inventory is based on the five-factor model of Personality. AMPI measures five broadbased traits: Extraversion Conscientiousness Neuroticism Openness to Experience Agreeableness. Content Management, Quality Assurance, Banking Analyst, In house Lawyer, Designer – Fashion, Interior and Industrial, Business Analysts, Health Care, Engineers, etc. Business Consultant, Business Analyst/Associate, Research Analyst/Associate, Accountant, etc. To know more detailed syllabus, you may go to official website of AMCAT (click here) and check detailed AMCAT Test Pattern 2018 and exam Syllabus.